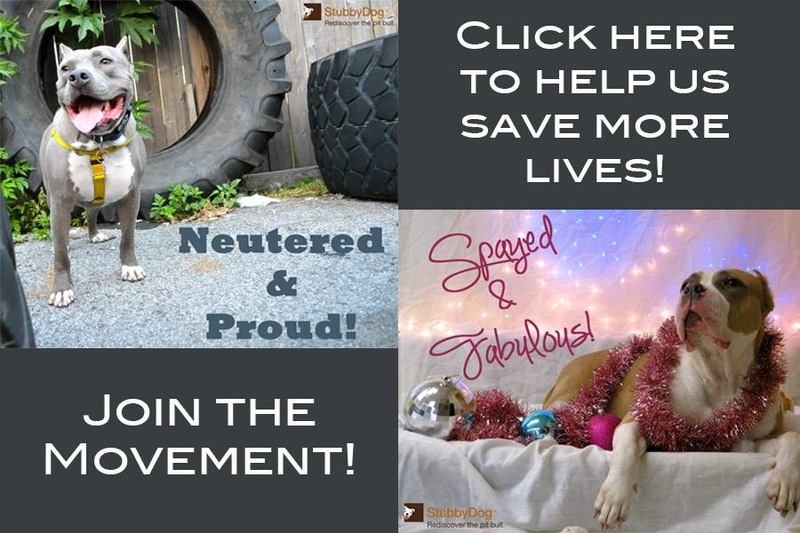 With National Pit Bull Awareness Day just about a month away, we asked our Facebook fans, ’What you are doing to celebrate?’ Going to an event? 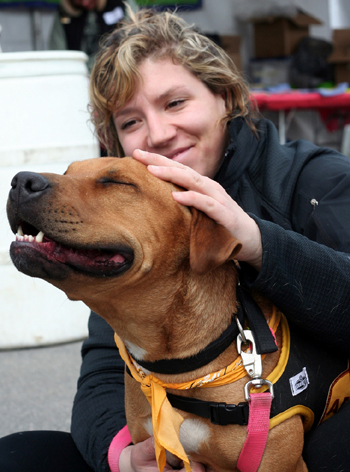 Volunteering at a shelter or rescue? Or just giving your pup an extra hug? 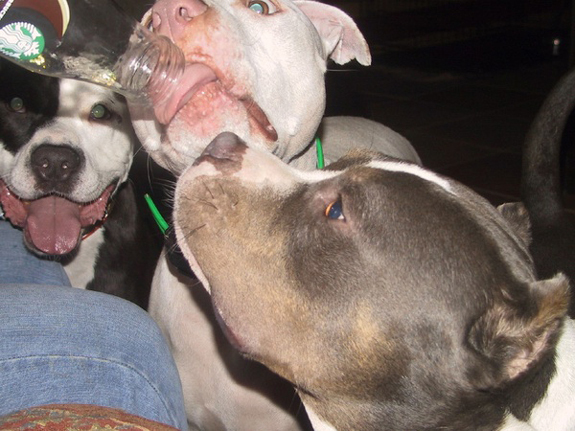 Some of you are volunteering or participating in National Pit Bull Awareness Day events, and some are just loving and playing with their dogs. 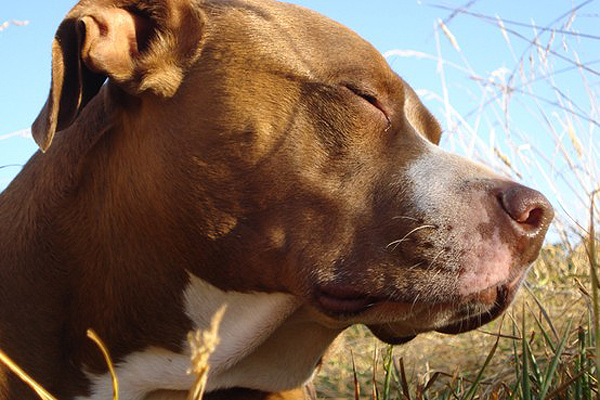 Whatever we are doing, we are using it as an opportunity to show the world just how great pit bulls are! Thanks everyone for sharing. 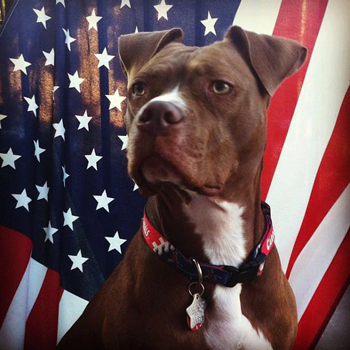 I’m ordering a pit bull polo shirt, getting National Pit Bull Awareness Day printed on the back, and we are taking Blooey downtown to show everyone what a good dog he is, dispel myths, give kisses and handshakes, and take pictures! Proud pit bull owners we are!!! I am volunteering at my shelter that day, I plan on playing fetch and giving and getting lots of smooches from the fur kids. I just love them. Loving her with all my heart…like every other day. Some of us in SE Michigan are talking about doing something. Not sure what. Mocha will definitely get lots of hugs that day! Going to the showing in Chicago of Beyond the Myth ! I can’t wait! Going to give our dogs (one purchased and three rescued) a few extra pets. An extra treat for my adopted baby girl, Starla! Also wearing my pit bull necklace all day. I just adopted another pit bull puppy and I will make sure her training and good manners makes her an ambassador for pit bulls, like my other one. We’ll be traveling to my hometown for a little reunion with class mates of ’66, and invite them to come and meet my Katie! Will head to a dog park to show mine off in the Houston, TX area. I will be volunteering at my favorite shelter working with my favorite pitties! Show off our Malcolm with his good manners and sweet disposition. Volunteering and attending some pit bull rescue events! Looking for something to do in the Ft. Lauderdale, Florida area. 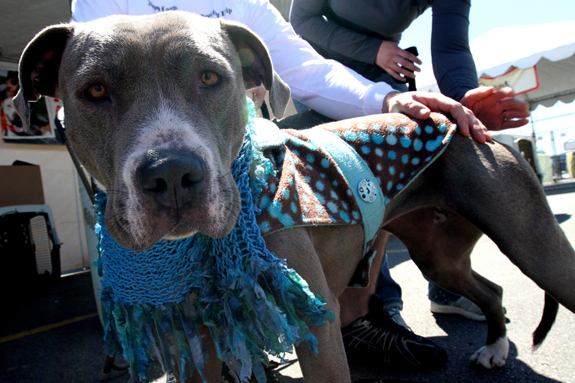 Pit Bull Gear’s Pit Bull Awareness Day at the Florida State Fairgrounds in Tampa, Florida on October 27th! It’s the biggest, best pit bull party in Florida, and, yes, Nina, people come from South Florida (and from all over the Southeast) every year. It’s PAW-SOME! I’m going to the Pit Bull Awareness Day show in Tampa. Can’t wait. Helping out with a screening of Beyond the Myth in Vancouver, BC Canada! Giving a large bag of dog food to our animal shelter. Still thinking…whatever we do, it’s gonna be great! I am volunteering as a Staffie Sentry at the Love-A-Bull’s P.B.A.D. parade and festival. Staffie Sentry are the seeing eyes, we check to make sure that all the dogs there are comfortable and that nothing bad happens. It is all in the body language, and any dog can get stressed. We are also supposed to help inform owners of better ways to manage their dogs and introduce them to such a festive environment. Then, afterwards I am painting my pit bull’s toenails and we will begin working on his Halloween costume. That will mark our first year with our boy Spartacus. We are going to celebrate by taking the kiddos down to the river and letting them run and play. I’ll be in Edgewater, Colorado for the Coast to Coast Bully Walk. Looking forward to hanging out with a bunch of dogs and people who are working tirelessly to end breed discrimination legislation in Denver! The Florida Keys SPCA in Key West will be holding an Adopt-A-Bull event on October 7th. There will be adoptions, education, vaccinations, microchipping, refreshments and games and sign up for free spay/neuter for pit bulls and pit bull mixes. www.fkspca.org or www.facebook.org/fkspca for more info. I love all of this pit bull celebratory stuff!! I celebrate pitties every day, both at home and at my job (I have several in my pack), but if the Boston area had anything cool going on, I’d LOVE to go! I didn’t know there was a day. I am going to suggest something to my local SPCA where I volunteer. I am the “mom” to 2 4 legged children(pits). So I definately want to do something. @shortygrl27909 Thank you, great idea! Definitely a great idea to volunteer at the local SPCA. The one in Boston is *loaded* with pitties. Thanks for the tip!